We believe there is a better way to buy furniture: creating your perfect bed, sofa or sectional by customizing each design element to fit your lifestyle – we believe your home should reflect your unique sense of style and you shouldn’t be limited to what is available in a store. Our custom built furniture pieces are all carefully handmade from hardwood and upholstered right here in our studio in North Vancouver using ethically sourced, quality materials. We proudly have a full frame shop onsite so our pieces go from design, to build, then upholster all under one roof ensuring a top quality product. We are becoming best known for our large comfortable custom sectionals, and small condo/apartment sized couches shipping all over North America. 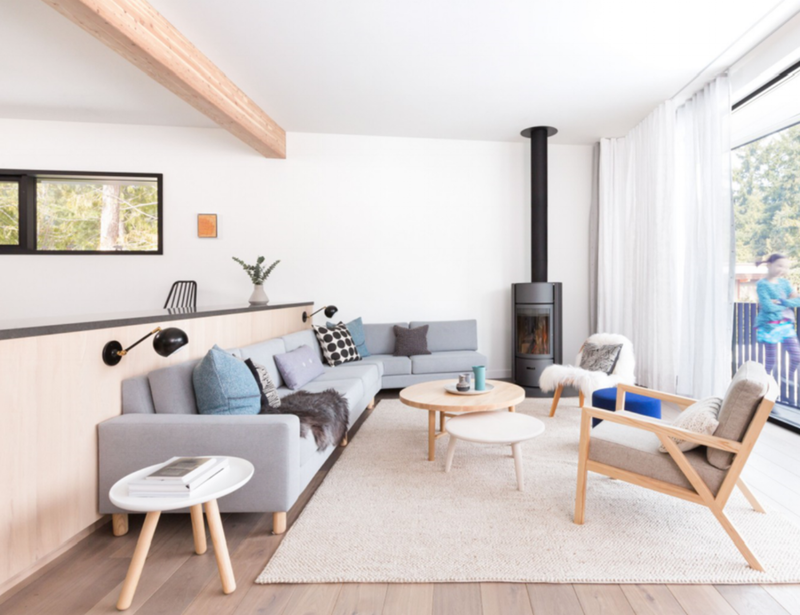 Following the two trends of Architecture here in Vancouver, either large high end homes or small spaces, we have seen a peak of interest for custom sofas to fit the constraints of the rooms. If you can dream it up we can build it. Whether it be modern furniture, classics or Mid-century furniture from a single chair to larger collections, we welcome all orders. Building to exact designer specifications, creating reproductions or modifying an existing design is what we do best. Our design and production experts are here to walk you through the process from start to finish. Typically on local projects, an onsite meeting would take place to determine the correct overall sizes, pitches, depths, stain colours and fabric selection. 3-D drawings of the custom built pieces are also available prior to construction. Not looking to reinvent the wheel? Take a peek through our various collection pieces. Pre-designed and proportioned for comfort and all size adjustable. To get a glimpse of our finished products click here to view our gallery. Bespoke Furniture Built Exactly the Way You Want it! We believe in creating your perfect bed, sofa or sectional by customizing each design element to fit your lifestyle –your home should reflect your unique sense of style, and you shouldn’t be limited to what is available in a store. Our one-off custom furniture pieces are all carefully handmade from hardwood and upholstered right here in our North Vancouver studio using ethically sourced, quality materials. We have a full frame shop onsite so our pieces go from being designed, built, then upholstered—all under one roof ensuring a top-quality product. We cater to high-end homes as well as tiny ones. We are becoming best known for our large, comfortable custom sectionals designed to fit those really large spaces. We also create couches specifically for small condos/apartments. We can ship all over North America. If you can dream it up, we can build it. From modern classics to mid-century furniture, single pieces or large collections, we welcome all orders. Building to exact designer specifications, creating reproductions or modifying an existing design—we thrive on your challenges. Our design and production experts are here to walk you through the process from start to finish. Typically, for local projects, an onsite meeting will take place to determine the correct overall sizes, pitches, depths, stain colours and fabric selections. 3-D drawings of the custom built pieces will also be available prior to construction. Below are our 3 main categories of custom built furniture. Click to see more in that grouping or click here for the full portfolio of finished products.